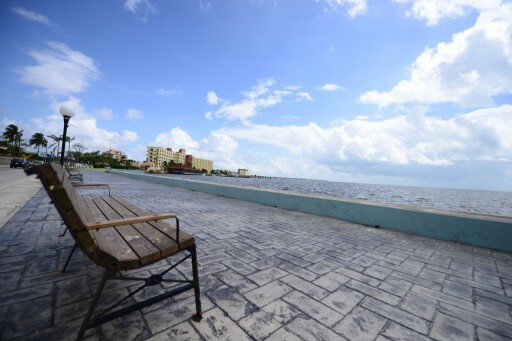 As Belize continues to make headlines for celebrity getaways and top vacation getaways it is also expanding it's accessibility with new flights from Copa Airlines that are designed to connect Belize with the major hubs of Central and South America. More and more airlines are recognizing the need to establish new routes to Belize. As Belize is starting to be recognized around the world and increasingly becomes the fast-growing region in Central America, traffic has increased over the time and many flights have also been increasing. This only proves that many more airlines are now beginning to want to establish their own presence in the country's most popular destination today. As Copa Airlines have announced the launch of their service to the Belize's International Airport, this only shows that Belize's reputation of becoming the fastest-growing commercial hub in the world have been cemented with yet another airliner that adds to Belize routes. Although, this is not the only improvements that help Belize to build their future, but it still opens up new possibilities and opportunities in terms of investments and business. Copa Airlines have opened up new possibilities that people of Belize can enjoy as well as ex-pats living in this region. If you are seeking for a relocation or investment opportunity that will not only keep you connected with your family and friends but will also make your living in Belize well-grounded. Then taking advantage of the many expansion projects that is going to help the country to grow faster and open up many opportunities for the local community. The expansion of Chetumal, Mexico airport was launched in order to help the traffic flow in Costa Maya, Mexico is a great example of how it will be a big help for Belize's Tourism Industry, especially when Chetumal is just in close proximity of the Belize border. All signs are pointing to your success if you are to invest and trust your money in Belize where it is clear that its increasing economic growth will soon outflank its neighboring countries. While Belize's Tourism is being pointed out as the reason for the success of the Caribbean destination, it is the investments of the Belize government, ex-pats and entrepreneurs is the one that fuels the growth of the country. In addition to the many people who are seeking for a meaningful rest and stress relief that only the government of Belize offers. As peace and quiet can be easily achieved in this country and starting fresh in your life or planning for a new business venture, Belize offers a life that is easy and fun yet productive and secured for the rest of your life. As the economy of this country is fast-growing same goes to its real estate and property options. Its real estate value escalates over time that makes commerce flourish. The affordability, proximity and the lifestyle being offered is what the primary reason why it&rsquo;s increasing and why many investors are taking the risk with the properties they are holding as they knew that the return of investment can be highly productive. This makes many entrepreneurs becomes a resident of the country as they knew that the rising economy will also take them to the top and so as their dream.